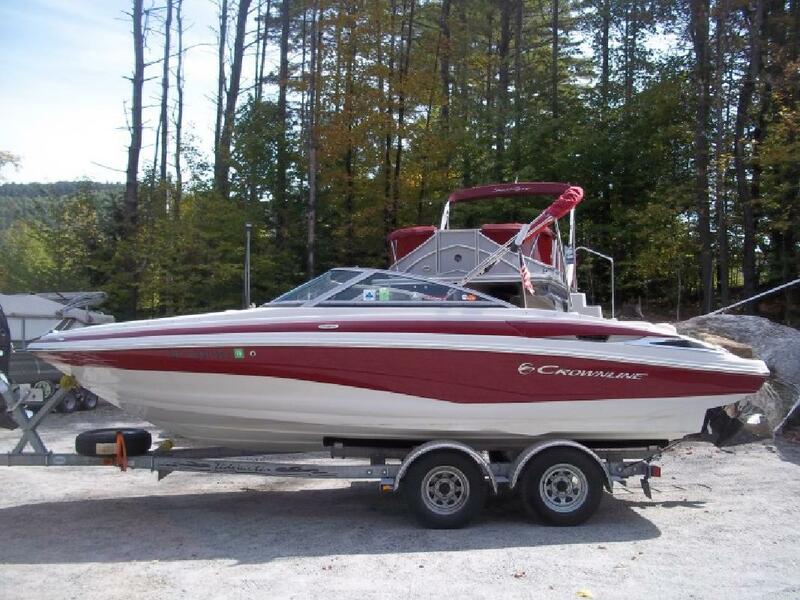 This gem offers great room to move about with family & friends and well powered for water sports while being easy to tow. The double hull band gel coat design perfectly accentuates the sporty silhouette of the boat. The F.A.S.T. Tab hull design not only embraces the distinctive "sports car" styling of the 215 SS, but also ensures a safe and comfortable ride. The stainless steel blower vents and eye-catching stainless steel accents on the side of the boat add a touch of elegance and class. Optional features: Battery charger with dual batteries and switch. JL Marine Audio System with Amplifier.